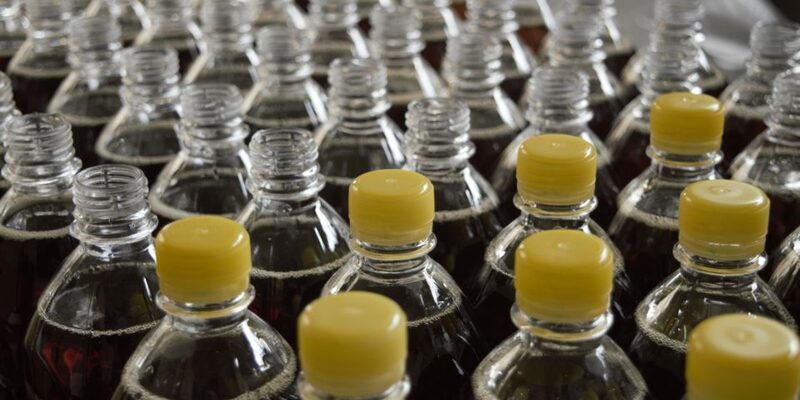 At the moment, the raw materials for plastic are still made from crude oil, but in the future they could be sustainably produced from the tiny chemical compound methanol. An international group of chemists, including three members from ARC CBBC, has discovered that the two distinct acid groups on the catalyst can effectively facilitate the reaction. They therefore play a crucial role in producing the purest possible raw material. Nature Chemistry presented their findings on the cover of its August issue. The basic materials used to make various types of hard and soft plastics include polyethylene and polypropylene. Both are produced by cutting the very long hydrocarbon molecules in crude oil into smaller pieces. This process, called ‘cracking’, is highly energy-intensive. For decades, scientists have tried to approach the problem from the opposite direction: instead of cutting large molecules into pieces, they try to paste small molecules together. This would be a much more sustainable method for producing plastic, as it avoids using crude oil. One vital intermediate step in the production process is methanol, which is liquid at room temperature and only contains a single carbon atom. Methanol can be used to produce ethylene and propylene, which respectively have two and three carbon atoms. This is done with the help of a catalyst – a substance that facilitates or accelerates reactions – made from a variant of the mineral zeolite. The crystalline structure of zeolite is essential for its role as a catalyst. A zeolite naturally contains many minuscule ‘corridors’, which happen to be slightly wider than a single methanol molecule. Individual methanol molecules can penetrate into the nano-corridors, where they have an opportunity to bind together to form ethylene and propylene. But until now, the reaction has not been optimal. In addition to ethylene and propylene, the process also produces by-products that result in an impure end product. 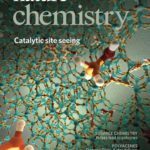 Chemists around the world are working on optimising the reaction to selectively convert methanol into propylene. Three members of ARC CBBC participated in one of these international projects: Bert Weckhuysen (Utrecht University), Freek Kapteijn (TU Delft) and Emiel Hensen (TU Eindhoven). Research leader Jorge Gascon was also a member of ARC CBBC until 2017, when he moved to Saudi Arabia to work at the King Abdullah University of Science and Technology. Intensive collaboration has led to the publication of four articles in journals, such as Nature Catalysis and the Journal of the American Chemical Society over the past few months. The latest article was published by Nature Chemistry online in late June, and it was featured on the cover of the hardcopy version in August. Until recently, unknown causes have resulted in impurities in the production of propylene, whereby the methanol molecules combined into molecules that were so large that they became stuck in the zeolite. The researchers thought this might be caused by ‘active sites’ on the zeolite, where the atom bonds occur. They have now discovered that one of the acidic sites, known as the Lewis acid, can extend the life of a zeolite catalyst tenfold. Another acidic site on the catalyst is the Brønsted acid. This site determines the catalyst’s selectivity for the production of ethylene and propylene. Together, the Lewis acid and the Brønsted acid form a powerful duo that makes it possible to optimise the process for producing the raw materials of plastic.